Our feature article this month is about sales funnels and why they’re so crucial for converting visitors into customers. Plus we have our usual range of tidbits, sites of interest and a cartoon for you to peruse. What Is A Website Sales Funnel? To the dismay and surprise of some website business owners, attracting a lot of visitors to your site doesn’t necessarily result in a high number of sales. If your website isn’t designed to convert well, they’ll simply bounce away without making any meaningful interaction. Developing a sales funnel is essentially about being cognisant of the series of steps that will encourage your website visitors to engage in a way that draws them to your end goal. 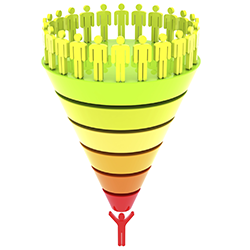 Setting up a sales funnel allows you to measure the effectiveness of each step in the process. Who are you trying to sell to? You need to understand your ideal target customer in order to be able to create steps that are attractive to them. Consider their age, their budget and primarily what they are looking for. How can you convince them you’re the best choice? Once you’ve received the customer’s preliminary attention, you need to “seal the deal” by offering solid persuasion, such as reiterating the special deal, providing testimonials or examples, or a map. Is your goal for them clear? In the end, this is all leading towards your goal. 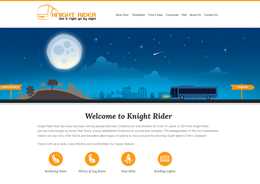 Make sure your contact form, booking form or purchasing page is visible and easy to use. Once you’ve decided which pages are the steps of your sales funnel that you want visitors to participate in, you can set up goals to measure their effectiveness in Google Analytics. 1. Set up a new customer conversion goal. This is done by going to Admin > View > Goals and clicking “New Goal”. This should be a goal that adds financial value to your business (such as enquiry phonecalls). 2. Set up your funnel. Under “Goal Details” flick the Funnel switch to On. You can set up to 20 funnel pages, and can specify whether the first (i.e. landing page) in the funnel is the required starting point or not. Once you’re done, click “Create Goal”. 3. View the results. Analytics provides a detailed analysis of each step in the funnel, including whether people have dropped off and where they clicked away to. You can view this under Conversions > Goals > Funnel Visualisation. A website sales funnel is a way of tracking the path of visitors through your website, and of optimizing this so that you carefully nurture your hard-earned traffic into valuable conversions and sales. View the The Google Analytics Conversion Funnel Survival Guide for more tips. 300 million miles. That’s how far away the Philae comet was from earth when NASA successfully landed a probe on it for the first time in history. It took 10 years of sling-shotting around the Earth in order for it to build up the speed to be able to catch a comet, and is sending back data and information obtained from drilling. Avatar Blog: Essential Inbound Marketing Strategies. Inbound marketing is a way of “earning” your audience that creates long-term returns. Avatar Blog: 5 Most Important Link Building Posts of 2014. Up your game and stay ahead of the major Google algorithm developments that have happened over the last year. Avatar Blog: www Vs Non-www. With some big brand websites dropping the “www” from their URL, it’s good to review the benefits and disadvantages. Faster Than A Bullet. Japan’s newest Maglev (magnetic levitation) train has been tested with passengers, and reached speeds of up to 500km per hour – faster than the existing bullet trains. 10 URLS Every Google User Should Know. For anyone who uses one or more of Google’s tools, these “hacks” and tips are extremely helpful. A daily shuttle service operating between Christchurch and Dunedin and back, with stops along the way. 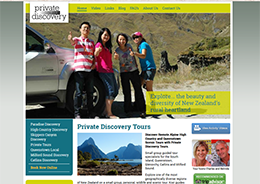 Small group tours with experienced professionals, to discover the South Island including Milford Sound. 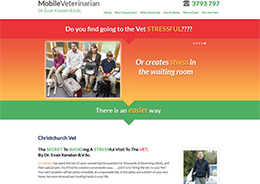 A mobile veterinarian service who can bring quality medical care for your pets right to your home. 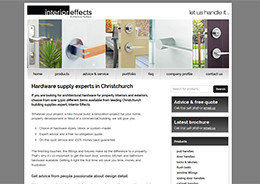 Architectural hardware suppliers based in Christchurch, providing fittings and fixtures.